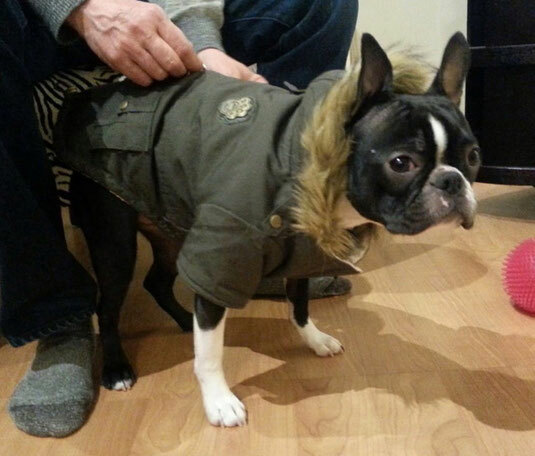 puppy coat alterations - Website of studiohyacinth! Alterations for your buddy's outfit. Making a new hole for favorite leash.